It’s amazing how much rubbish is spouted by people you meet while travelling. On the bus from Skopje to Sofia, an English fellow solemnly informed us that we would not be allowed into Serbia as we had Kosovo stamps in our passports. ‘You won’t get past immigration’ he announced confidently. We just nodded. We had another two or three hours on the bus and there are better ways to pass the time than arguing with idiots. Predictably, nobody at the airport in Belgrade was bothered in the least and the only disturbance to the peace and quiet was from the large rookery outside the terminal building. Rooks, like all corvids, are garrulous birds. 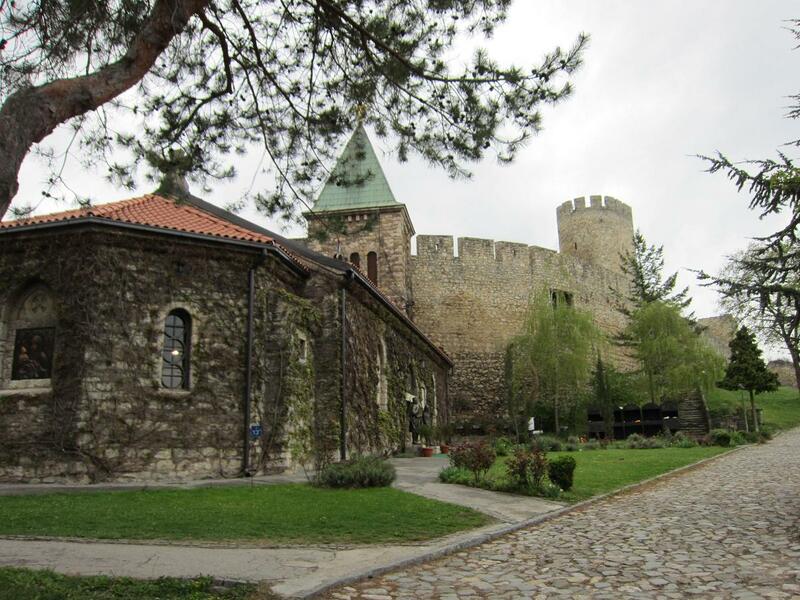 The heart of the city is Belgrade Fortress in Kalemegdan Park. It looks out over the confluence of two great rivers, the Sava and the Danube. There are some thoroughly enjoyable walks to be had both in the hills of the park and down by the water. A climb to the top of the hill takes you past two unusual churches. The Church of the Holy Mother of God, known as Ružica Church, is a delightful, ivy-covered little building. Nearby is another, even smaller, church, St Petka’s Chapel, which has some superb mosaics in its intimate interior. As ever with Orthodox churches, there’s gold and glitz aplenty. At the opposite end of the scale is the gigantic Cathedral of St Sava, the world’s biggest Orthodox church. The construction began in 1935, around 40 years after the plan to build the church. Remarkably, work continues to this day, as although the building is largely complete, there is still much to do by way of external decoration. If Belgrade is loaded with churches, it does not go short of parks, either. Topčider Park is a large park extending into forest on the south side of the city and is just one of around 20 or so significant green spaces in and around Belgrade. There is also a substantial Botanical Garden, where you can have a drink at the bizarrely-named Idiot Bar. Assuming you want to drink in an Idiot Bar, of course. For walkers, though, there is always somewhere to sit down and have a rest. A walk by the riverside allows plenty of opportunities to stop and look around. The rivers provide a haven for waterfowl and migrating birds and you shouldn’t be surprised to see visitors like little egrets or European bee-eaters. Both white and black storks breed in the area. With the abundance of fresh water, plains and forests in the Belgrade area, there are ample opportunities to see plenty of different birds without trying too hard. Belgrade has a complete mix of architectural styles, often in the same building. The National Theatre is a good example, originally built in Renaissance style, but rebuilt and reconstructed several times since. It still has a Renaissance look, but with hints of Baroque and neo-Gothic. The National Museum is also a bit of a mixture, with neo-Classical and Baroque elements to it. There is a substantial collection of European and Japanese art, though at the time of this visit, most of the museum was closed for renovation. A small part was open, though this was very interesting, an exhibition featuring the work of the 19th-century painter Katarina Ivanovic. She was a Hungarian-born Serb who studied art in Pest and Vienna and also travelled extensively in Europe. Unfortunately, the prevalent attitudes towards women artists at the time meant that her work did not get the recognition it deserved. Although this was the only gallery open during this visit, the experience was most informative and thanks are due to the helpful young woman who provided much explanation and detail of both paintings and artist. A building of a slightly fading grandeur is the main railway station, though this may not be true for long, as a new station is under construction. 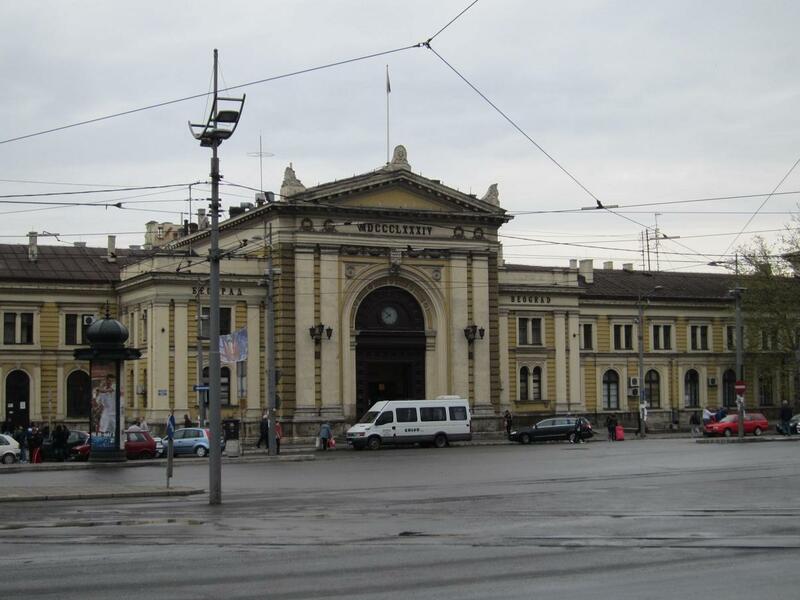 The present station serves many European cities and was once on the route of the Orient Express. Although I would not necessarily recommend it for an evening out, it can be a useful place to take shelter from a sudden downpour and you can keep out of the rain with a very cheap beer and watch the assorted travellers making their way hither and thither. There are, of course, better places to have a drink or two. One is Biblioteka, which is a comfortable bar with – as you’d expect – books everywhere and a good collection of old photos. It’s a pleasant place for something to eat or just for a few glasses of beer. Even more civilized is the fact that there are both light and dark beers. 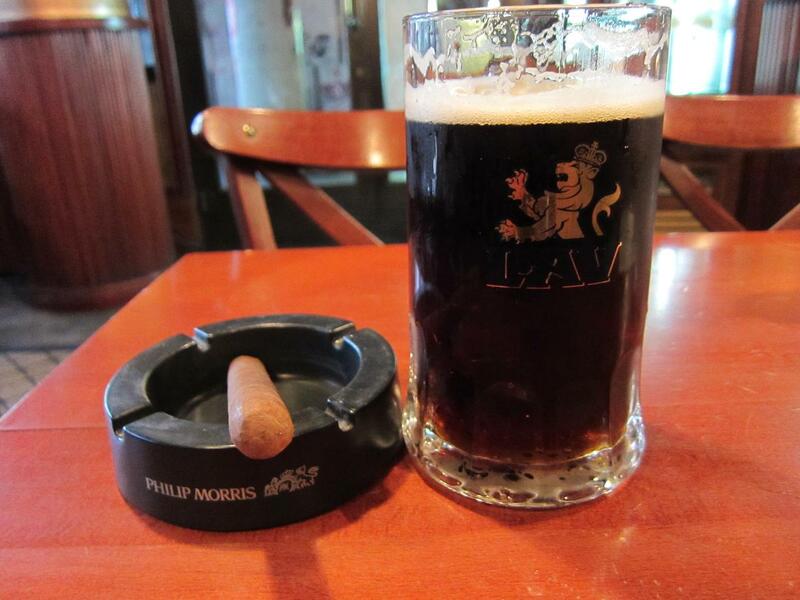 Some of us need the infusion of a good dark beer to satisfy the demands of our Irish blood. 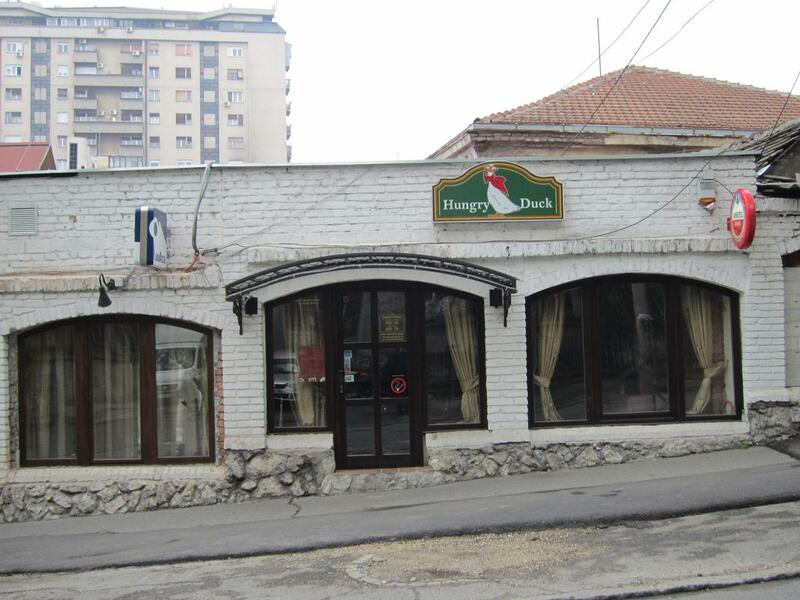 Unfortunately, independent brewers are difficult to find in Serbia. The larger breweries are owned by multi-nationals and the best hope of finding something a little different is a brew pub. These tend to come and go, but the Black Turtle chain now runs to five pubs in Belgrade and produces quite a wide range of beers. Belgrade has more than enough to keep a visitor occupied and there are regular festivals and fairs of different kinds throughout the year. Food and drink is inexpensive and accommodation should not cost a fortune, either. The centre is very negotiable for walkers, with the exception of a few climbs around the fortress. Public transport is pretty good and isn’t costly – a bus to and from the airport costs less than a pound and you should be able to have a decent amount to eat and drink for the price of a tenner. That just has to be a good thing. This entry was tagged Belgrade, Serbia. Bookmark the permalink.